Makeup serves one purpose- to create an illusion. Makeup can create the illusion of having flawless skin, a smaller nose, larger eyes and smoother lips. But, when makeup is used haphazardly as a beauty utensil, it can magnify wrinkles, deepen the look of scars and make your pores look like moon craters. In three simple steps, you can use the true power of makeup to properly conceal acne damaged skin. When working with makeup, your skin is your canvas. Before applying makeup, you want your canvas clean and moisturized. One trick to make applying makeup smoother is to use a combination rosewater and vitamin E oil moisture mist. To make it, fill a 2-ounce spray bottle with rosewater and then drop five to ten drops of vitamin E oil into a the bottle. Place the spray nozzle on the bottle, shake up the contents for 30 seconds so that the oils get evenly distributed, and then spray on the mist. You can get all of these items for less than $10 at your local drug store. The makeup foundation is called "foundation" for one critical reason. If you get your foundation wrong, no matter what your do to your skin, your makeup will still look wrong. Here's what I mean. You need to match your foundation to not only your skin tone, but also your skin texture and your need for skin damage concealment. For example, you have your sheer foundations, which are ideal for persons possessing virtually flawless skin. Then you have semi-matte foundations for persons who may just want to tone down a few age marks or freckles that dispersed over their face. Then your have full-coverage, matte foundations. Opt for this type of foundation if you are guilty of "caking on" your make up to hide blemishes. Using a full coverage matte foundation lets you lay on one thin coat of makeup while still deeming down unwanted skin imperfections. Once you have enjoyed a full day of successful blemish hiding, it's now time to completely remove the makeup. The easy way to know your skin is thoroughly cleansed and the makeup is truly gone, is that you should actually feel your skin breathing again. You can remove makeup, without over stripping your skin, using a cotton square and witch hazel. 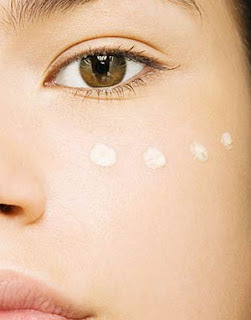 Saturate the square with witch hazel and smooth it over your face. Once you are done, the cotton square should no longer collect makeup. This cleansing step will also help stave off further skin blemishes.